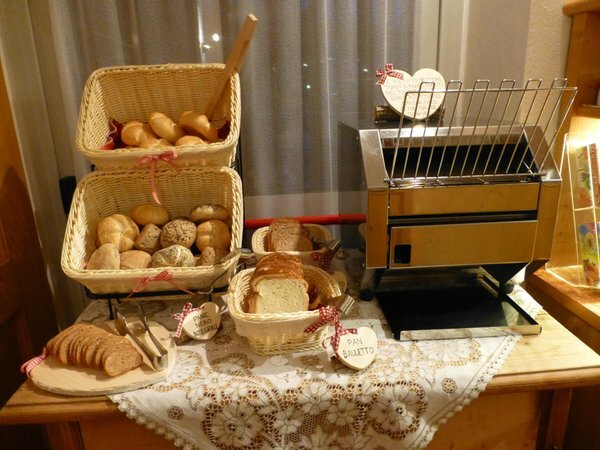 Welcome to Hotel Villa Adria! 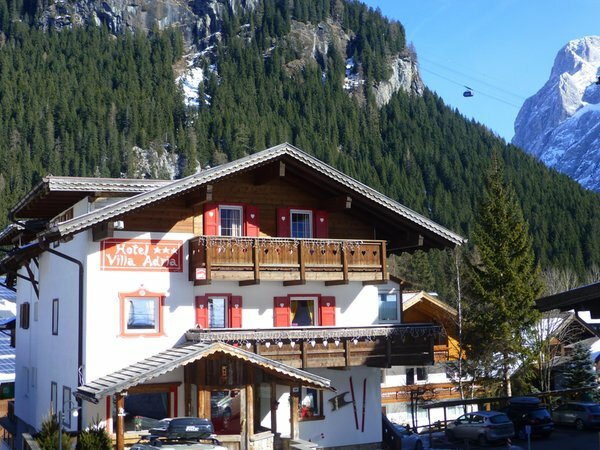 The Hotel Villa Adria is in a quiet place, an ideal starting point for many excursions, close to the main ski-lifts. 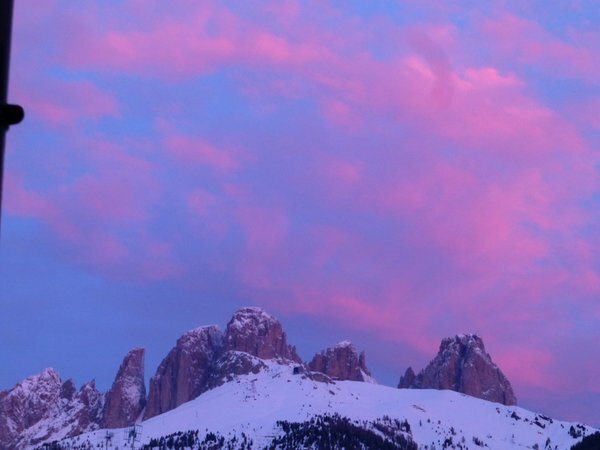 The Funifor Alba - Col dei Rossi - Sellaronda (the circular ski route of the 4 mountain passes) and the Ciampac lift are located only 300 meters from the hotel. 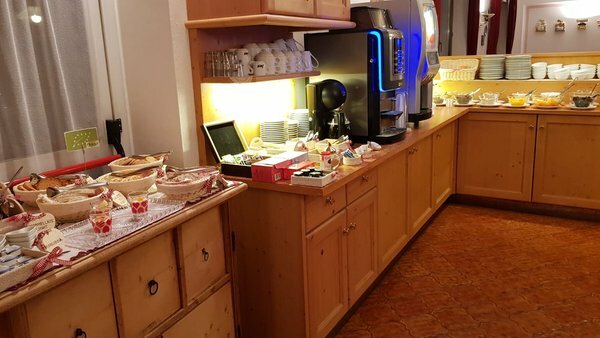 In the morning you can enjoy a rich buffet breakfast. 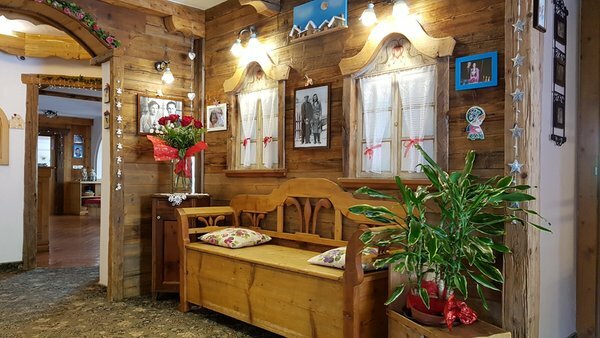 You can use the sauna and the steam bath everyday for free. Just 50 meters from the hotel you will find the ice-stadium, where you can skate or watch beautiful ice-skating shows or hockey matches. 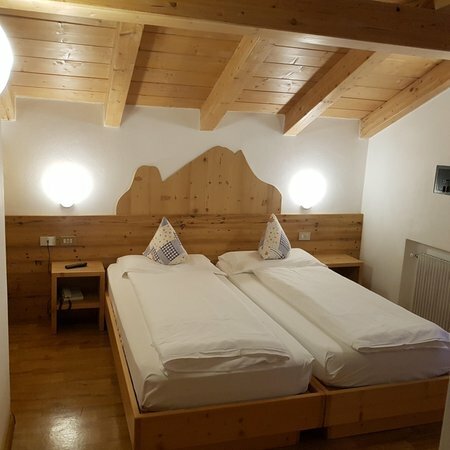 In 1 km distance there is a swimming pool with wellness centre for a total relax after a skiing or hiking day in the mountains. Cross country ski slopes: the Marcialonga slope! 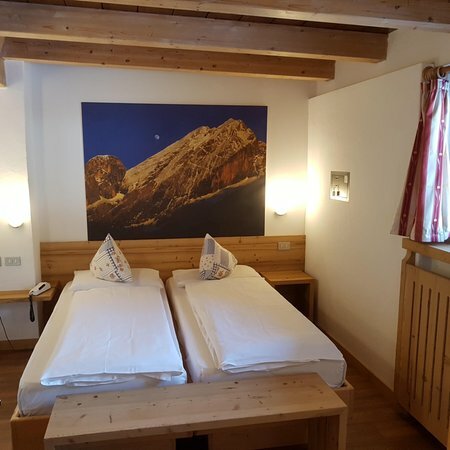 General information at 1500m amsl, 25m from the bus stop, "bike friendly", "bikers welcome"
Double room with TV/SAT, phone, safebox, private bathroom with hairdryer. 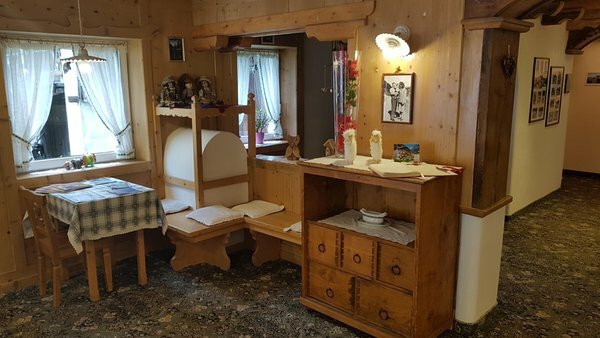 Triple room with TV/SAT, phone, safebox, private bathroom with hairdryer. 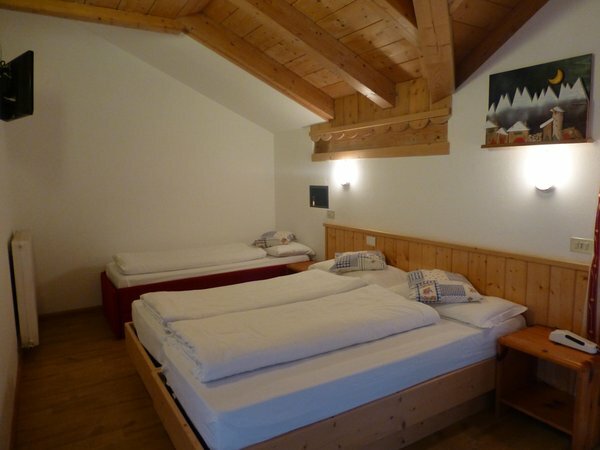 Quadruple room with TV/SAT, phone, safebox und private bathroom with hairdryer. 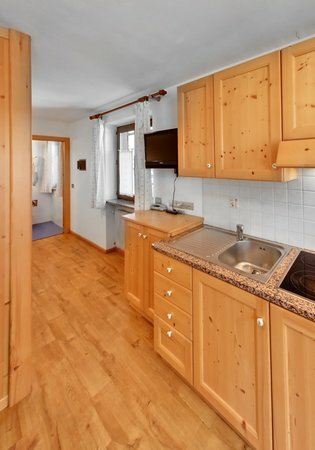 The apartments have a kitchen with dishwasher, bathroom with hairdryer, tv, phone and safe-box. 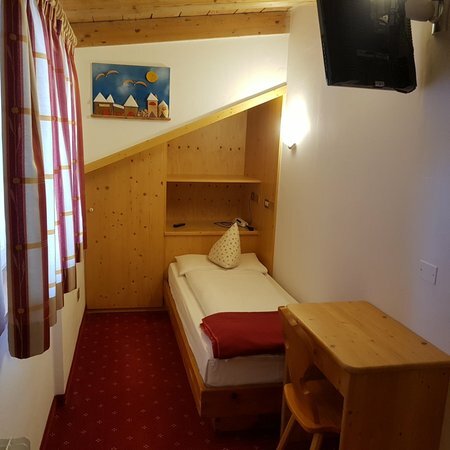 Single room with tv/sat and telephone. A party of seven stayed at the hotel for 4 nights. We had a superb time and the hotel was ideal for our short break. 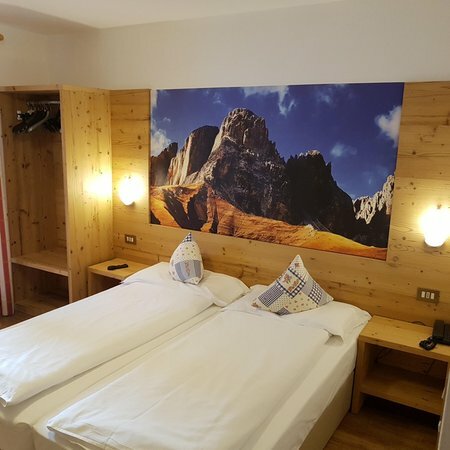 I would not hesitate to recommend this hotel if you are looking for clean, comfortable and peaceful accommodation in a well located village in the Dolomites. 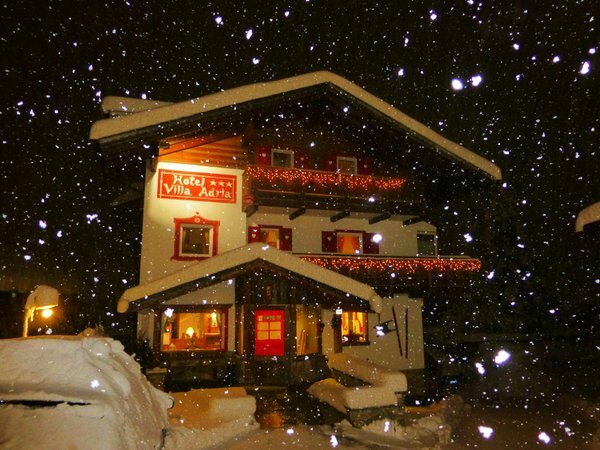 Skiing is easily accessible, with only a 5 minute walk, and there are plenty of bars and restaurants nearby. Thank you to all the family who made our stay wonderful. 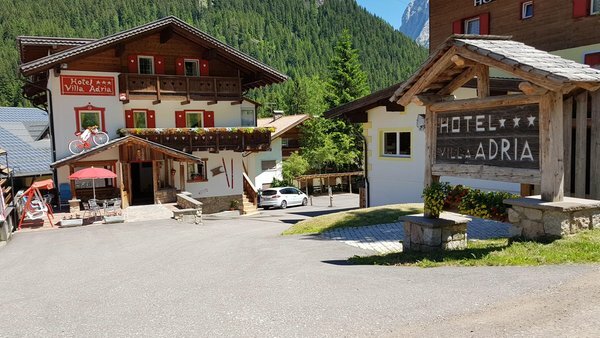 We stayed at this Hotel for 2 nights in July 2018. It was a very nice place and we would like to come back. We came by motorcycle and got a nice parking place for our bike. The owners, a family, welcomed us very nicely and we were taken good care of. The room was very spacious with a balcony with a wiew to the mountains. 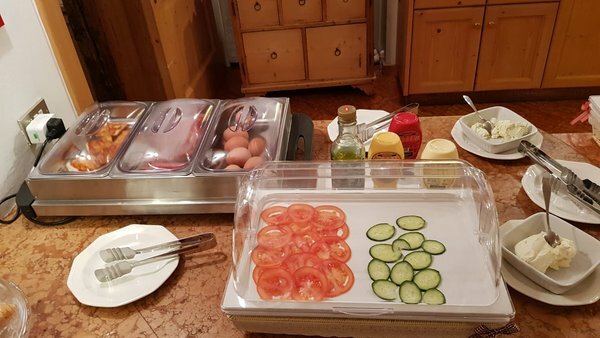 The breakfast was not included in the price, but we had breakfast one day and it was very good. My friend and I stayed at this hotel recently. We booked just 2 nights, but then extended it for another day and then another 2 more! The location for us was fantastic, and the breakfast was amazing. We made use of the sauna and steam room, and enjoyed the walk into town. I’d definitely come back to this hotel. 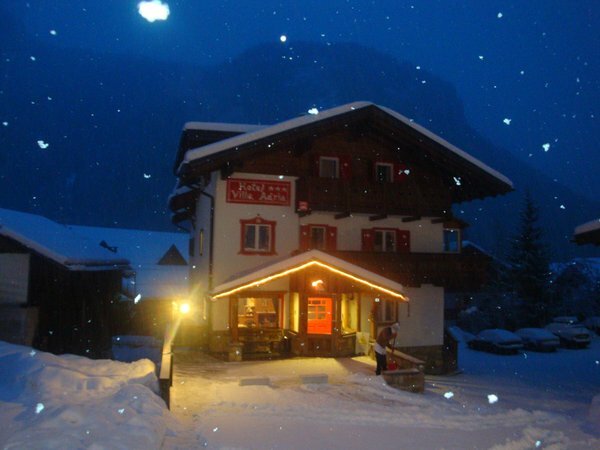 The atmosphere, the staff and owner family were great, near lift and restaurants, quiet, wonderful alps. 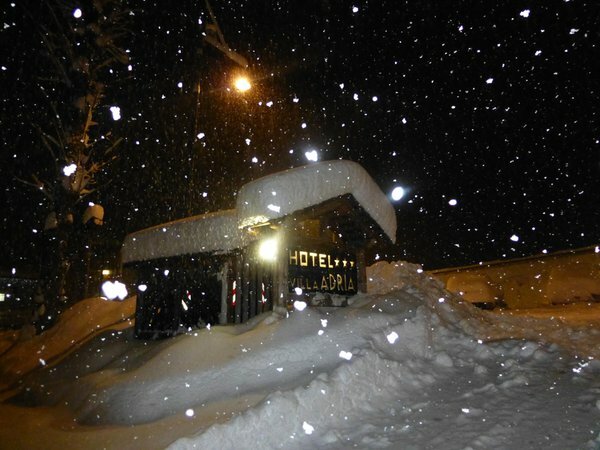 Near to shops and services in Canazei. Parking place near apartment. First time. And it was great! 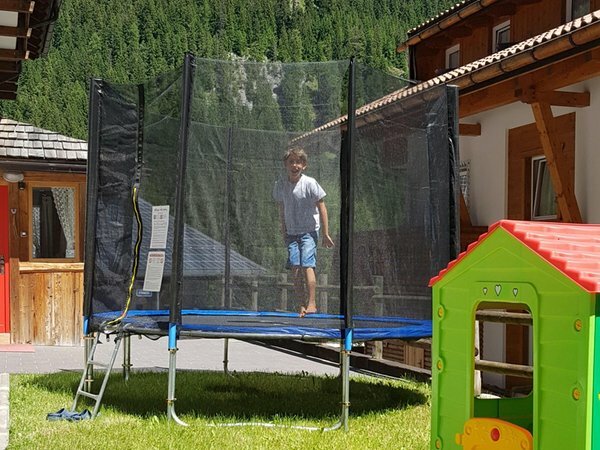 It was not the first time in Canazei, but the first time in Villa Adria. Our family (2 adults + 1 kid) liked it very much. The service, the attitude of the staff, the fulfillment of requests, information about the resort - everything was perfect. We certainly will come back again. The hotel is nice and cozy, the rooms are very clean. 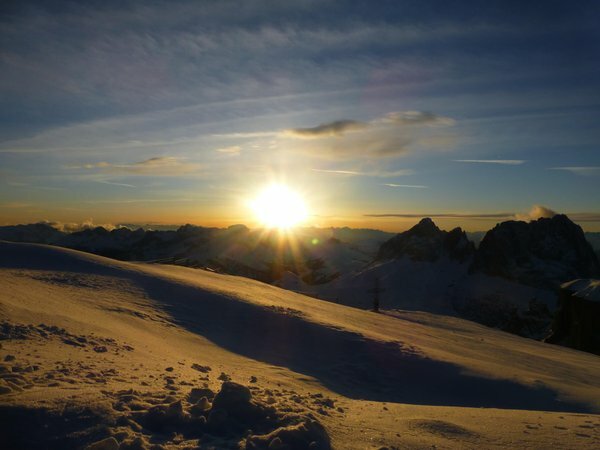 Our time in Canazei was wonderful! 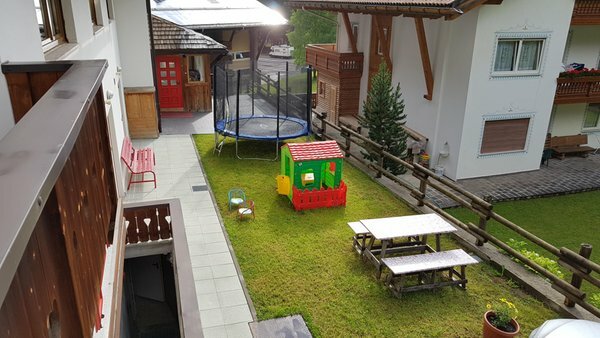 The hotel is managed by a friendly and hospitable family. All of them tried to make our vacation comfortable. 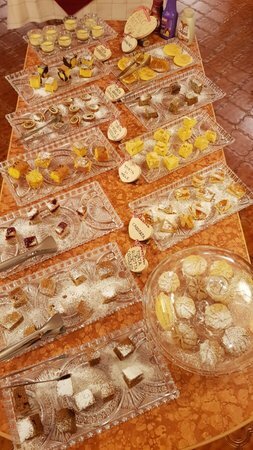 Gaia-who is more in communication with the guests-is very open, always ready to help, to explain everything (even details which are interesting-how they cook for guests and where they buy products for the kitchen). She thought step ahead on all our situations (about taxi, booking good restaurants in advance for our big company and etc) We are very thankful and appreciate such an approach. 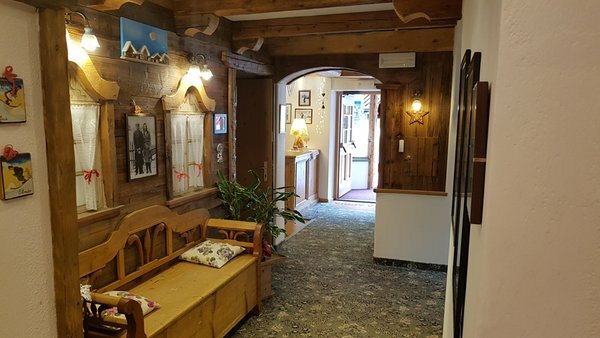 The location of the hotel is also convenient-one minute walking to the ski bus stop to Canazei lift and several minutes walking to Alba lift. We used both options. Great location in a beautiful valley. Very nice family running the hotel. 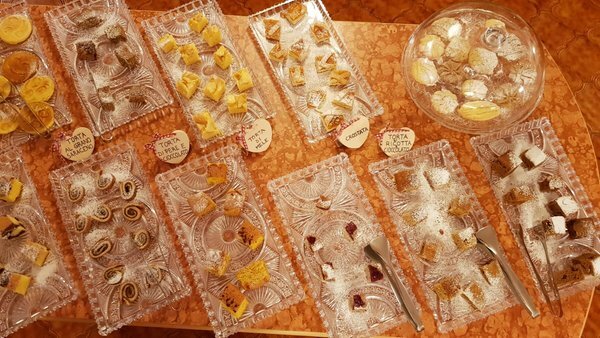 Great home made cakes for breakfast. Very convenient for a family vacation in the area. 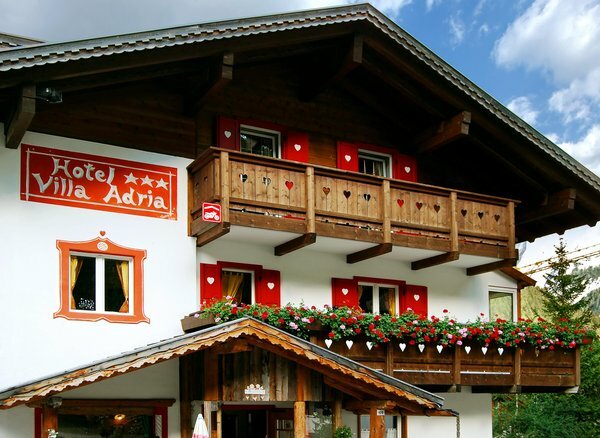 Wanting to stay in Canazei, I booked the Villa Adria in Alba since Canazei was so busy. Very glad I didn't stay in the center of Canazei - very busy and inconvenient in August. I was delighted with Alba and especially by the warm welcome and care I received at the Villa Adria. 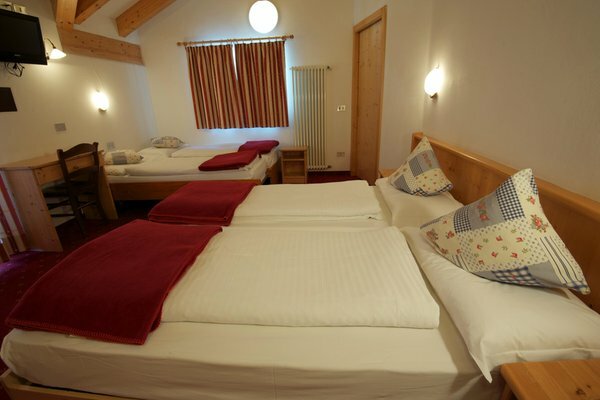 Room was comfortable and convenient, parking was easy, and useful shops and good restaurants a short walk away. The family were so helpful with advice (alerted me to Alba under the Stars celebration, for example) and attention, I will be back as soon as I can. Very nice and friendly welcome by the helpful owner, thanks! The room I got was by far the best one during my roadtrip. 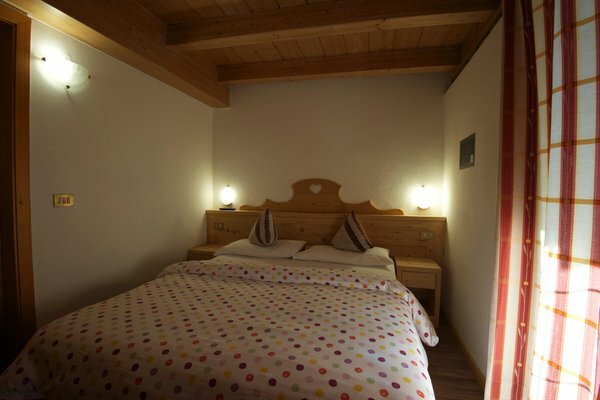 It was clean, with a comfortable bed and a large balcony with a view on what I think was the Sella mountains. There is also a covered parking (great for motorcycles). For breakfast there was a huge variety of fresh food, which made it difficult to choose. 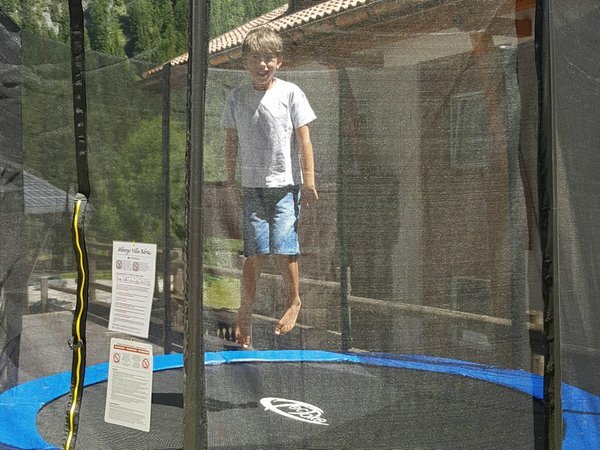 We really enjoyed our vacation over there. 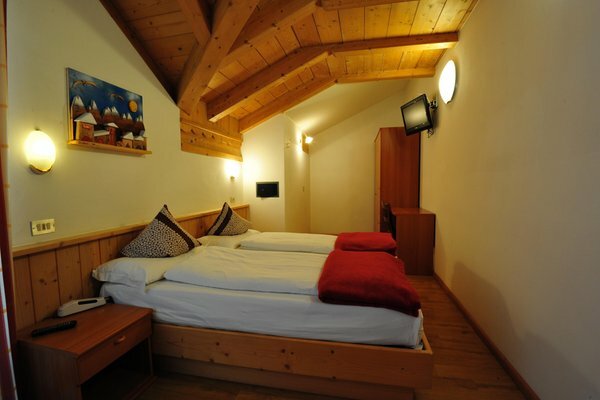 The room was perfect: very clean and very comfortable. The people were very nice: they helped us and gave us all information we needed to manage the rest of our trip. They were very patient and very kind. Highly recommended. 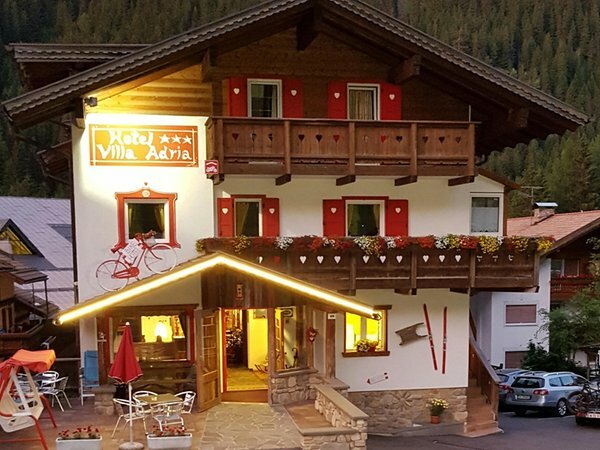 We stayed at Villa Adria the night before the Dolomites Skyrace. Friendly staff, convenient location, comfortable and clean room; we slept well before our race. We would have preferred a later checkout time (checkout at 9:30am) that would have allowed us to shower (for free) after our run, but we were able to pay for a shower afterward. Free wifi provided to guests helped us stay connected during our stay. Note that breakfast, though available is not included. For us, it was served too late for a 8:30 am race, but I'm sure it would have been fine. The location of the hotel is perfect. Staff is friendly. The room where we stayed is big enough for 3 people. However in my opinion the breakfast was not as good as I expected. I have tried caffé americano, caffé latte and large caffé but all are not delicious from my point of view. Very nice hotel run by a young family, everyone was very friendly. Great ammenities and I would love to bring my family to stay here next July! 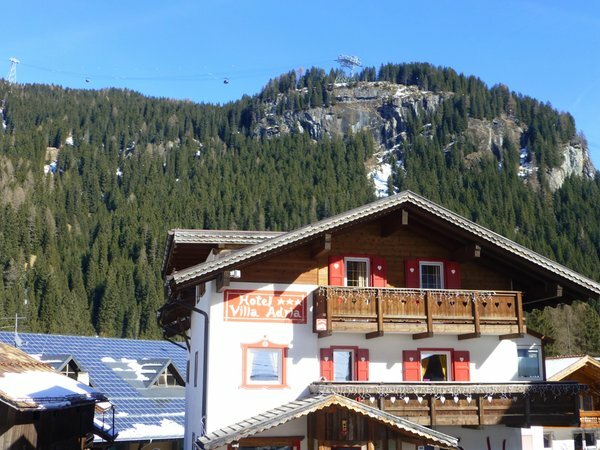 Perfect situated for skiers, close to the skibus and new lift. Wonderful, helpsam family running the hotel. We stayed at the Hotel Villa Adria 9 nights. 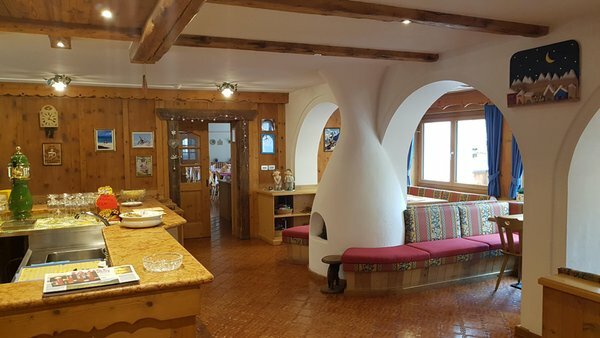 The apartment was wonderful, the ocation perfect for skiing. 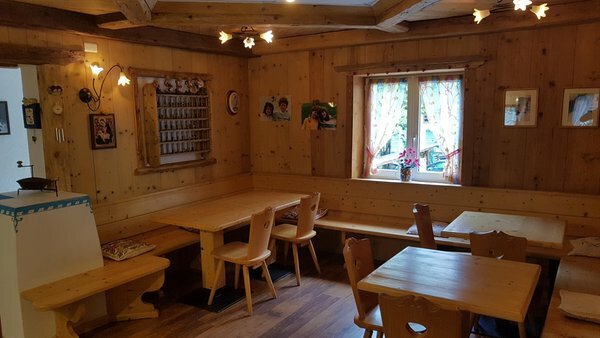 Nice and quiet place, convenient to reach Canazei. Highly recommended. 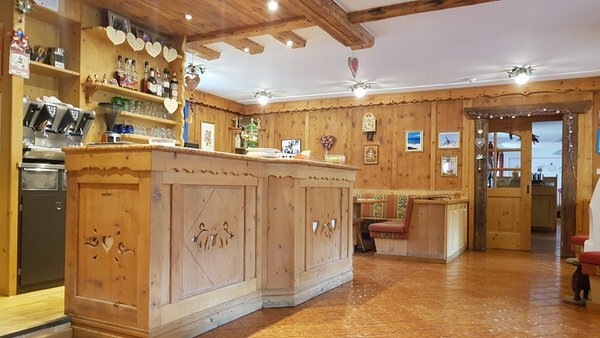 Information about the location: at 1500m amsl, 25m from the bus stop, slopes are easily reachable on foot (200m), cross-country ski trails within walking distance (900m). Are you interested in Hotel + Residence Villa Adria?